Who knew that a 2 minute ice check drone video could be so hauntingly beautiful? Rick Elrod shot and edited the video March 28th on Little Bay de Noc in Gladstone, Michigan. Escanaba Nite sailor Terry Reynolds, Menekaunee sailors Mike Derusha and Ken Kreider, and a few others inspected the ice for International Skeeter Association regatta. 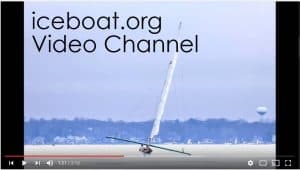 The 2:13 minute mark shows exactly why the regatta was postponed but there’s plenty of ice. Many thanks to Terry Reynolds and friends from Escanaba and Gladstone who took the time to check the ice for the ISA.